Is there no desperate act a politician will stoop if his mate could lose his seat on may 7? Well Boris Johnson is prepared to do it to save Mike Freer, his Tory colleague standing for Finchley and Golders Green even it means telling porkies in the seat that once returned Margaret Thatcher and has a large Jewish vote. Threatened according to another Tory peer and now eminence gris of the pollsters, Lord Ashcroft, with losing his seat to Labour’s Sarah Sackman on May 7, Boris thought he could perform a minor miracle and save a much loved bus route,the number 13 from Golders Green to Aldwych and swing the vote. Unfortunately for him his success turned out to be a lie – because he has no power to do so particularly under the purdah rules in a General Election which forbids politicians ( and Boris is of course a Parliamentary candidate elsewhere) from taking controversial decisions for electoral gains. 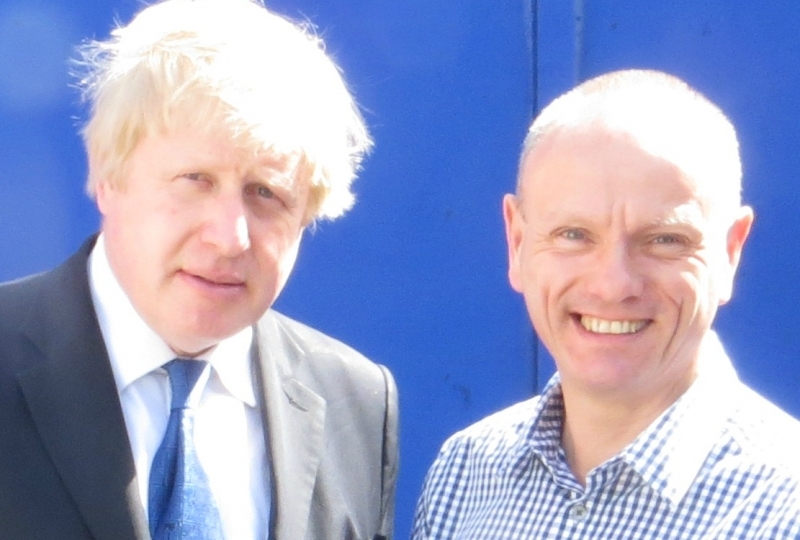 This didn’t stop Mike Freer – see below – posing with Boris on his website announcing he had saved the Number 13. ” London Mayor, Boris Johnson, has today announced that the Number 13 Bus from Golders Green to Aldwych has been retained. The Mayor’s announcement follows a long-running campaign by Mike Freer to save the much loved service. Mike raised the issue of the 13 bus during the Mayor’s visit to Golders Green last week. Mike comments ““I’ve already had a meeting with TfL and told them they were wrong and when Boris came to Golders Green recently I told him he needed to go back to the drawing board. The proposals have been dropped and the number 13 is going nowhere. I’m very happy about it. It’s always useful when you can get things done. 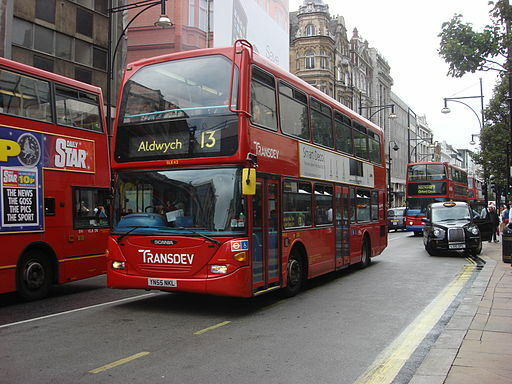 We recently consulted on proposals for changes to bus routes along Finchley Road and Abbey Road, which included the replacement of route 13 with alterations to routes 82 and 139. We received over 3000 responses to the consultation which is now closed. However, concerns have been expressed that the consultation has been partially undertaken during the pre-election period which runs until 7th May. It is therefore our intention not to progress the scheme at this time. The comments received from this consultation will however be used to inform future bus network planning in the Finchley Road and Abbey Road areas, and any resulting proposals would be subject to further public consultation. All that has happened is that Transport for London has already postponed the consultation until after the election – when it will come back again. No doubt Mr Freer hopes he will have been safely re-elected by then and of course will have no interest in any cuts that follow for his constituents. This entry was posted in satire, town hall, uncategorised and tagged boris johnson, lord ashcroft, mike freer, transport for london. Bookmark the permalink. In fact Freer and Boris are of course overlooking the inconvenient truth that the hard working Sarah Sackman has been campaigning for the retention of the 13 bus, and has equal, if not greater, claim to have performed this (temporary) miracle. Mr ‘easycouncil’ Freer is facing the loss of his seat to a brilliant candidate, who is everything he is not: extremely bright, engaging, and destined for a fast track political career – if this is the best he can do to try to compete, he might as well throw in the towel now. INfact it was Mike Freer who first spoke out about the outrage of the No.13 bus axing proposal back in March! Mrs Angry being a Labour Party Member of course would hop up and down and state the nonsense above! Ah: the loyal Amanda – or is is The Friend of Mike Freer? Nice to see you following me from Broken Barnet. As you know, but appear to have forgotten, after this post was written, City Hall admitted, in an additional article, on the 21st April, in the Ham & High, that the bus was ‘saved’ by a CROSS party effort. “A spokesman for Boris Johnson has confirmed the Mayor of London’s decision to save the much-loved number 13 bus service was the result of a “cross-party campaign” to protect it, rather than a direct appeal from Conservative parliamentary candidate Mike Freer”. Coiuldn’t be clearer, could it? And ‘saved’ only in the sense that the decision has been delayed to … after the election. Shocking to hear from Freer that the 13 bus is now going nowhere, however. Before he tried to ‘save’ it, it did at least go to Aldwych. Presumably it is now under embargo in Golders Green bus station, for the during of purdah. Which is the clearest indication you could ask for of how transport policy in London is devised, isn’t it? Not by what is best for Londoners, but what best fits the political agenda. So we are stake holders now? If I travel on a bus I must carry a stake and hold it then?